How Do Know If You Need A New Fuel Filter? Posted April 2, 2019 by Ed Fawcett Jr & filed under Starters. I’m sure most of us are all-too-aware that when your car is giving you trouble, there is no shortage of places to look for the problem. Let’s say you hop in your car, put your key in the ignition and turn it over, only to hear that pathetic, disheartening stutter. You rack your brain. Why won’t my car start? Is it the battery? The starter? The ignition? Karma?! Well here’s something you may not immediately consider; it could be your fuel filter. Essentially, the fuel filter keeps the gas that’s running your engine clean. It separates all the dirt and particles from the fuel you pay three dollars a gallon for and sends it through to run your car. The more purified your fuel, the more efficiently your car will run (and the more bang you’ll get for your buck at the gas station). How do I know my fuel filter needs to be replaced? How important is it to replace my fuel filter when I notice these signs? While a faulty fuel filter may not be as pressing as a dead battery, it is important to take it to a mechanic when you notice the above symptoms. 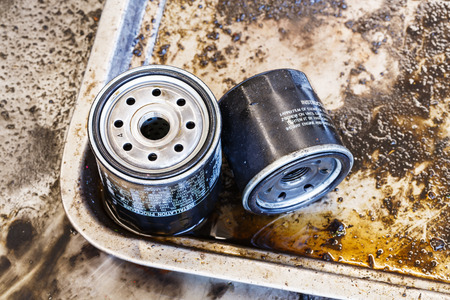 A clogged filter left untreated can significantly damage your engine. Don’t wait until it puts you on the side of the road waiting for a tow truck. Make an appointment with AV Bumper-To-Bumper today to service and replace your fuel filter.